Nicholson Landscaping is currently seeking Skilled Hardscape Landscapers in Port Coquitlam to complete renovations for residential or commercial properties. We will provide the hired candidate a great hourly rate of up to $35/hour, signing bonus, local work, and bonuses! Applicants must have at least 2 years of experience in the role and possess a Class 5 driver’s license. Are you someone who thrives working in a team environment? Do you want to work for a friendly company who notices you and appreciates you? Would you like to work alongside an experienced team that is flexible and easy going? 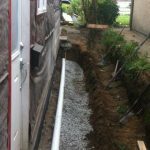 We are a small established company that specializes in residential yard renovations. We install mainly paving stones, retaining walls, fencing, decking, drainage and all softscaping. We only choose projects that can be done with excavators and bobcats whenever possible to make the work easier and faster. Join our team and grow with us. Enjoy coming to work again! You’ve just moved to a new house and the garden is a wilderness… What to do and where to start? The planting is undoubtedly the most rewarding and exciting point in the production of a garden and this is why it is so important to understand and prepare your site. So often, we pay no real attention to this planning stage, planting what we like where we like with no real thought for the longevity of the plants and how they are gong to impact our enjoyment of this outside space. Some horticultural good sense is required and this is where we come in. First off, decide what sort of garden you want. Who is going to use it and what for? If you have kids who want to play football, rabbits in a run, yourself reading a book or a desire for an outside entertaining space you will need to design your garden to fit these needs. You can always tweak things around later. Plants can be moved, but you’ll need a theme so that you can have a blueprint to follow. You may decide to go for a wildlife garden or a barbecue based garden. It is entirely up to you. At some point you need to see what the micro climate of your space is. Where does the sun rise and how does it set? Which bits of your garden are sunny and which bits are mossy and damp? Do you get a lot of rain or do you have to contend with salty sea air? 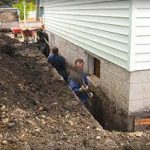 Is your land sloping? Are there any large trees that need to be worked around? Most importantly, what type of soil do you have? Is it loamy or chalky, alkaline or acidic? 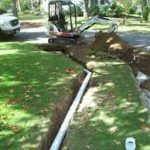 It is a good idea to call your local public utilities provider or municipal planning department, in order to determine whether or not there are any pipes, cables, or other surprises lying beneath your soil. Discovering something by accident may prove costly. Get yourself a sheet of paper, a pencil, a cup of tea and go to an upstairs window. Draw out the boundary of your garden, Mark an arrow pointing north, draw in any permanent features that you cannot change, making sure to draw in the umbra or shadow under any trees. Now decide where you would like to place that deck, and this bed, that lemon tree and this pond. You can mark these out on the paper then go downstairs and use an aerosol to mark out on the ground. Then go back upstairs and have another think. It is advisable to spend a couple of days on this. Paving stones define beauty, elegance and durability for driveways, pool decks, walkways and patios. A properly installed paving stone driveway won’t crack, sag, shift or separate. It will keep looking fantastic for generations, and if it ever becomes stained or marred by paint or oil it can be repaired quickly, easily and invisibly. Individual stones can be replaced with matching ones so that the surface looks exactly as it did before the accident occurred. This is impossible with any other type of pavement. The huge range of colors and patterns available makes customized design possible for any type of courtyard, patio, deck, or driveway. We will work with you to create the perfect match for your project, whether it is patio pavers for your deck or a complete landscape design to complement your new paving stone driveway and walkways. We at Nicholson Landscaping are certified paving stone installers with years of experience in installing patios, driveways and pathways. We guarantee all installations for 2 years and give free estimates. We are also a member of the Better Business Bureau (BBB) with a A rating. Call us today at 604 339 1502 for a free consultation and say goodbye to that ugly concrete or rotting wood in your yard. Increasingly Canadian gardeners from coast to coast want a beautiful and productive garden while also demonstrating environmental responsibility. 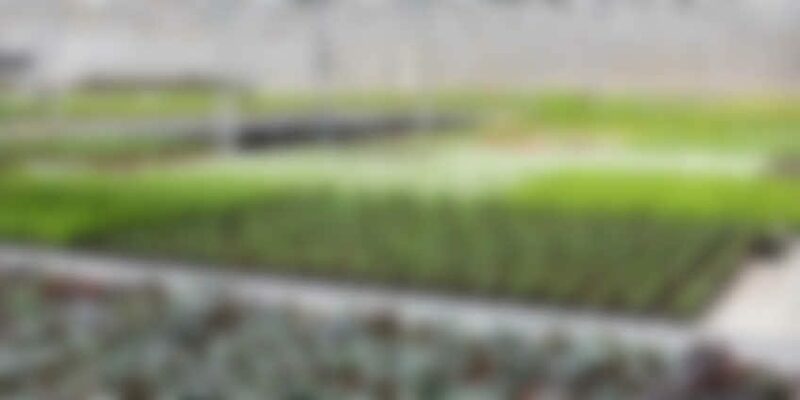 Mark Cullen, Canada’s best known green thumb, provides his top ten gardening tips that will help you achieve the garden of your dreams while being sensitive to the surrounding environment. 1. Prepare your soil properly. Ninety percent of your gardening success hinges on proper soil preparation. Know the soil in your garden and learn what it needs to be healthy. Start the gardening season off right with soil the consistency of chocolate cake. Use the appropriate potting soil for your potted plants such as Home Gardener Organic Starter Mix*, garden soil and manure compost like Home Gardener Soil or Sheep Manure Compost for your garden beds. 2. Use multiple quantities of the same plant. Repetition will anchor your garden and make it appear lush, coordinated and full. 3. Enjoy organic fruits and vegetables. A wide variety of environmentally friendly pest control options are on the market for the most common vegetable garden pests. Try diatomatious earth such as Green Earth DIO for potato bug control and Green Earth Bordo Mixture for early blight on tomatoes. 4. Enhance the environment and your garden. Make a point of cutting your lawn with Mark’s Choice Push Reel Mower only when it reaches 2 ½ inches minimum. Water it only once a week using a Mark’s Choice Lawn Sprinkler, which uses 30 per cent less water than regular sprinklers. Fertilize with a slow release nitrogen based product such as CIL Golf Green three times per year. Water potted plants using water collected in a rain barrel such as, the Mark’s Choice Rain Barrel. 5. Be generous with your compost. Add two centimeters of compost to your garden each year. Start your own composter with the help of the Natura Plastic Kitchen Composter and the Mark’s Choice Garden Composter. 6. Travel to the great gardens of the world. When traveling to other cities or countries take notes/pictures and open your eyes to the possibilities of introducing different plants and garden design options in your own yard. 7. Attract wildlife to your yard. Using native plants and feeders, you can attract hummingbirds, song birds and butterflies to your garden, enhancing its natural beauty. Increasing the activity in your garden by using Mark’s Choice Bird Feast Songbird Feed or Hummingbird Feeder. Talk to your local Home Hardware store about the native plant species that is the right fit for your area. 8. Mulch with soft wood bark mulch. Mulch, the low maintenance gardener’s secret weapon, helps your garden retain moisture, prevents soil erosion and reduces weed growth. Try Natura’s Beyond Mulch and you’ll never look back. 9. Plan your garden colours in advance. ‘Colour block’ to give your garden authority. This year’s colour trends suggest bold colours to electrify your garden. 10. Reduce any difficulty. Lessen your work load by sharpening the blades of hoes, axes and shovels with a Mark’s Choice Metal File before use. Oh No the lawns have took some serious damage in the Tri Cities area this winter. The chafer beetle has found its way here from Vancouver and now the raccoons and birds are having a winter feast and tearing up our lawns that we spend a lot of time and money trying to keep nice and thick and green. What can we do? The standard environmentally friendly treatment of nematodes just doesn’t cut it. These microscopic worms only feed on the larva of the beetle and only work for a few weeks every summer and is not 100% effective. Often requiring many treatments over many years. The best way to treat them is like all things in mother nature, preventative measures, like keeping your grass strong and healthy. We at Nicholson Landscaping can clean up the mess you are facing this year, physically remove all beetle larva and install a new lawn for you, including a simple professional maintenance schedule that you can do on your own. We could also redesign the lawn area into a beautiful planted area or a rock garden. We are only limited by our imagination. So this spring don’t hesitate to call the professionals for high quality results and outstanding customer service.